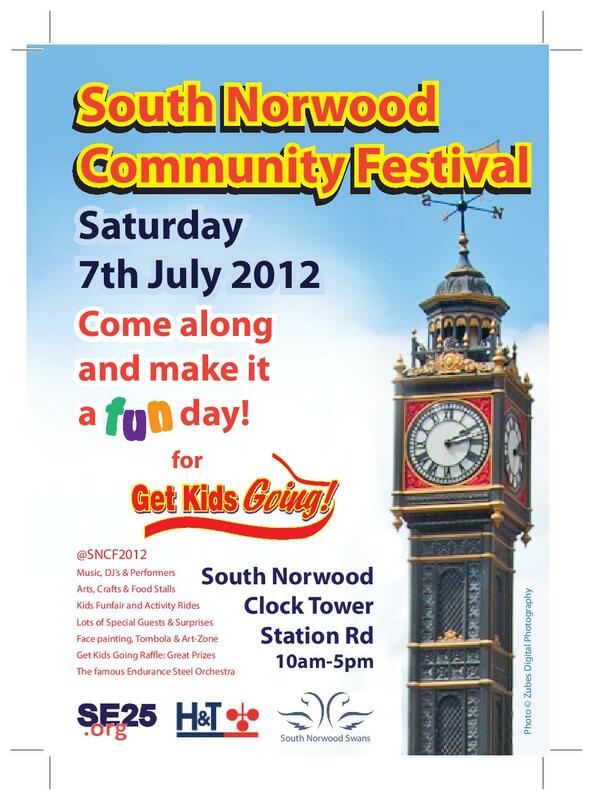 Can’t think of what to do this Saturday, well South Norwood has everything you could possibly want. 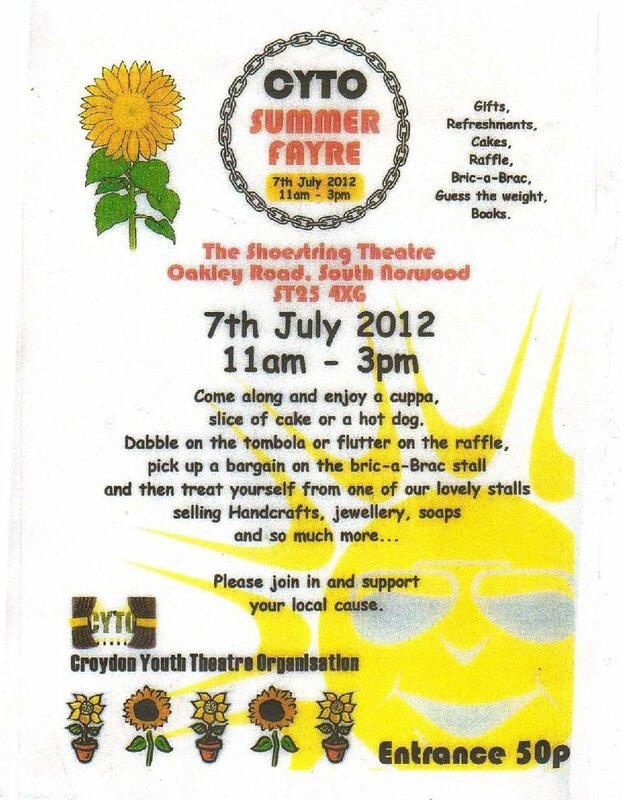 Starting of at 11am the Croydon Youth Theatre in Oakley Road at the Shoestring Theatre are having a Summer Fayre until 3pm – all are welcome, and what a wonderful venture to support. 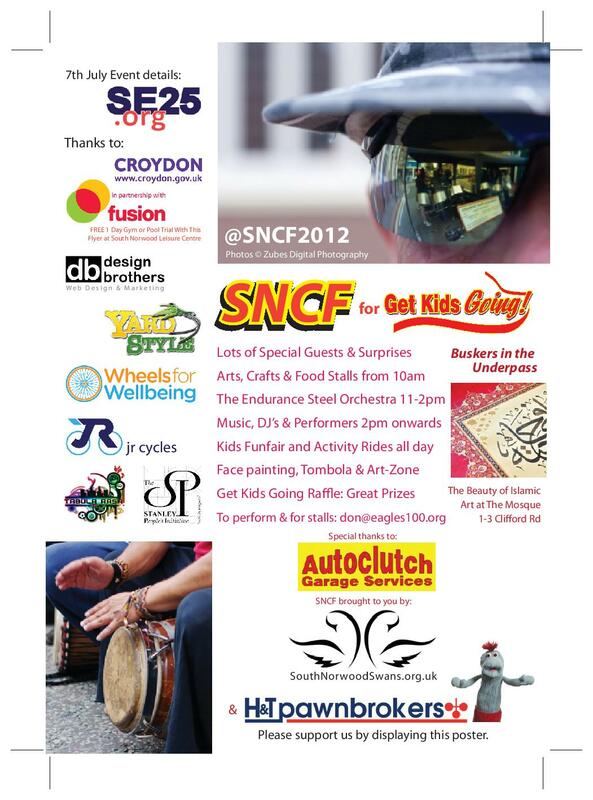 But wait there is also the South Norwood Community Festival, taking over the whole of Station Road it offers a wonderful eclectic mixture of stalls, art and entertainment, and if you didn’t know it has been sponsored by the local pawnbroker – perhaps there will be some gold on offer at the tombola!